At the core of Top of City is an immense, man-made lake. Both its natural appearance and size give the area a park-like feel. Surrounding the lake are a variety of well-designed features meant to maximize and enhance residents’ living experience, from a boardwalk and bridge, to benches and winding walkways. The nearby outdoor playground and daycare center make it easy to occupy young children while also enjoying the scenery. For residents whose home faces the water, the view is breathtaking. The emphasis on nature and the outdoors is apparent throughout the compound, and pockets of lush, thickly-lined walkways and outdoor seating dot the landscape. The high-rise residential apartment buildings themselves each have a spacious entrance, an electronic security system, and a ground floor lobby. Since the apartments are individually owned, there is a diverse list of options in terms of décor and furnishings. Tenants also have access to an onsite clubhouse, with facilities such as an indoor pool, gym, spa, yoga room, etc. Top of City is located in the trendy, urban district of Jing’an. 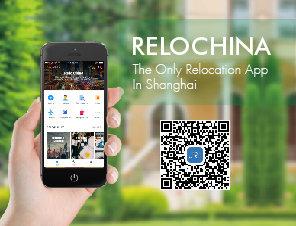 Known for its namesake (Jing’an Temple) and upscale shopping malls and restaurants, Jing’an District is highly popular among expats wanting to live in inner Shanghai. Residents of Top of City enjoy a high level of connectivity; two expressways are nearby, and the three metro stations are within walking distance. Also convenient is the nearby HKRI Taikoo Hui shopping plaza, which is only 400 meters (~5 min. walk) down the street. This multipurpose complex is home to a City Super (an international supermarket), the world’s largest Starbucks (as of early-2018), 250 brand stores, and 45 food and beverage outlets. Also nearby is the Wujiang Road Pedestrian Street, which has even more shopping and dining options. Both Pudong Airport and Hongqiao Airport are about one hour away by car. Other major locations, including Xintiandi and Jing’an, are less than 20 minutes by car or metro. Lujiazui is appoximately 20-25 minutes by car or metro, and The Bund is about 15 minutes by car or bike.